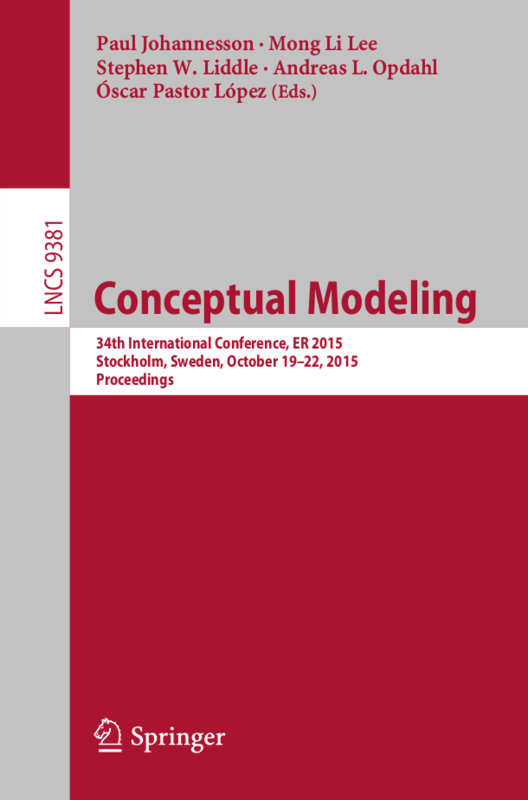 The 34th International Conference on Conceptual Modeling (ER 2015) has now come to an end! It has been a great pleasure to host the conference. The sessions were filled with great exchanges of ideas and opinions, and the discussions were interesting and enlightening. We hope that all our participants enjoyed the conference and their stay in Stockholm! The presentation slides from some of the keynotes and other sessions will be posted on this website soon. So please check it regularly. In the mean time, please enjoy the pictures and films from ER 2015. Please contact us if you wish to report any issue with the pictures/films. The ER2015 conference program is now available in print format. Congratulations to Prof. Il-Yeol Song for receiving the 2015 Peter Chen Award. The organizers of ER 2015 are honoured to have Prof. Song as a keynote speaker. In a few days, the 34th International Conference on Conceptual Modeling — ER 2015 is going to start. Final preparations are underway. The proceedings for ER 2015 are now available here. This program in this year’s edition of the conference features a rich list of distinguished speakers, latest research results, and interesting talks and discussions, covering innovative and cutting-edge topics in the conceptual modeling world. Participants in ER 2015 will enjoy historically- and culturally-infused social events, in some of Sweden’s most iconic settings. The ER 2015 organizing team is excited and looking forward to meet all participants. Welcome to Stockholm! Registration information for ER ‘2015 is now posted at http://er2015.dsv.su.se/venue/registration/. A link at the bottom of that page will take you to the registration page itself. Welcome to the Website for the 34th International Conference on Conceptual Modeling (ER 2015) – Stockholm, Sweden.